BRYAN EATON/Staff photo. 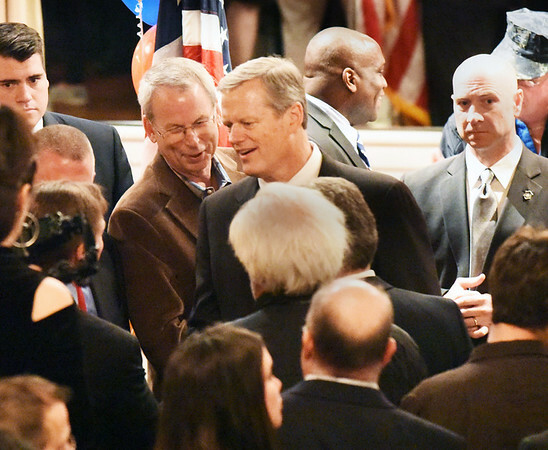 Governor Charlie Baker presses the flesh at the Mission Oak Grill on Wednesday night. He was in town attending a fundraiser for state Rep. Jim Kelcourse.